It is worth risking sometimes while traveling. At least, some experiences make you think so (Luckily, there hasn’t been any major twist in my risks so far). On this note, my visit to Tall Trees resort was a part of my this year’s travels in the western ghats during the monsoon, a risk that paid off well, after a rainy encounter with Munnar last year. Monsoon might not be technically the best time to be in the mountains of the western ghats if you like being out, as the rains can be nasty and pour all day. But if you want to look at it wearing your optimism glasses, the rains transform the tea estates into green carpets through which the roads look like a maze carved into the hills. Oh, the clouds don’t hesitate to take part all, and they move around in clusters hovering above the peaks, gently stroking them from time to time, making the landscape as dramatic as possible! So I had my inhibitions about the story repeating itself in Munnar when I planned my trip to the mountain town. I liked the part of magical landscapes, but this time I wanted to experience that by being out. 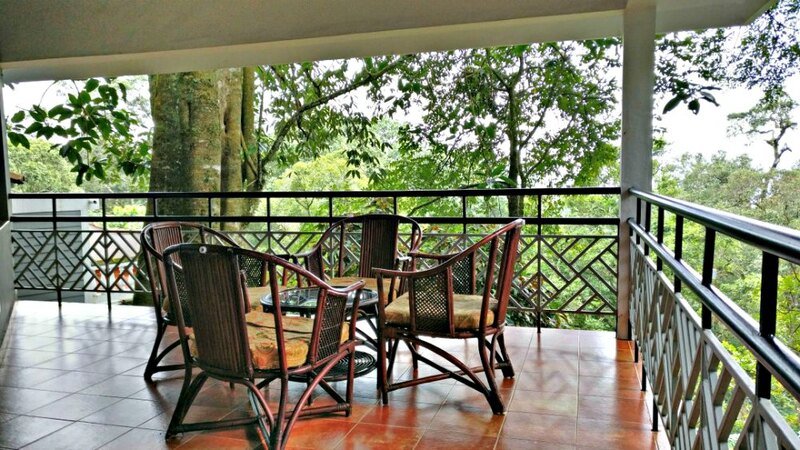 Tall Trees resort appeared perfect to me as I looked up on the internet for a serene getaway where I could be left unperturbed by the urbanites and could immerse in the beauty of Munnar. 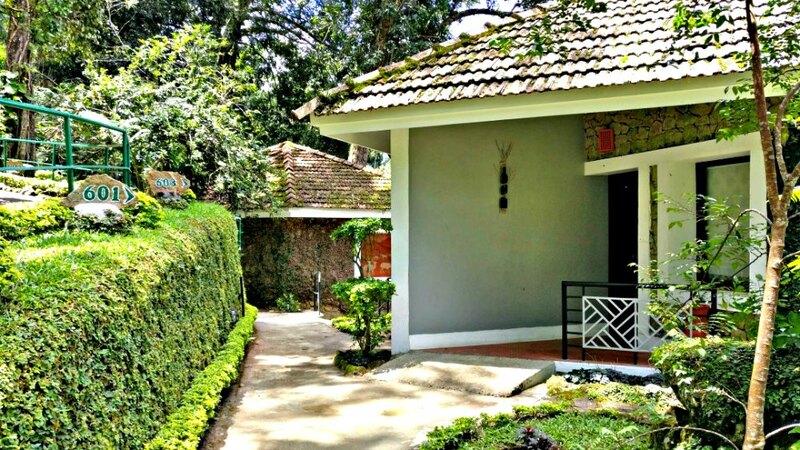 Why Tall Trees Resort & What’s Special About It? Well, if you have been reading my travel stories for a while, I am certain that these questions would have possibly crossed your mind by now. 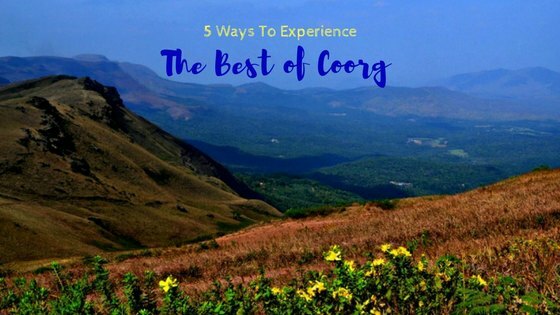 Because I prefer accommodations that are unique and over the years, I have moved from regular hotels to experiment with homestays, plantation homes, eco-friendly stays, and properties that endorse responsible travel in their exclusive ways. When I travel long term, Hostels still top my list – a thing which makes me turn into a backpacker/flashpacker, and my options might get limited, but otherwise, I love to experience all of the above! Tall Trees – Trees so Tall! 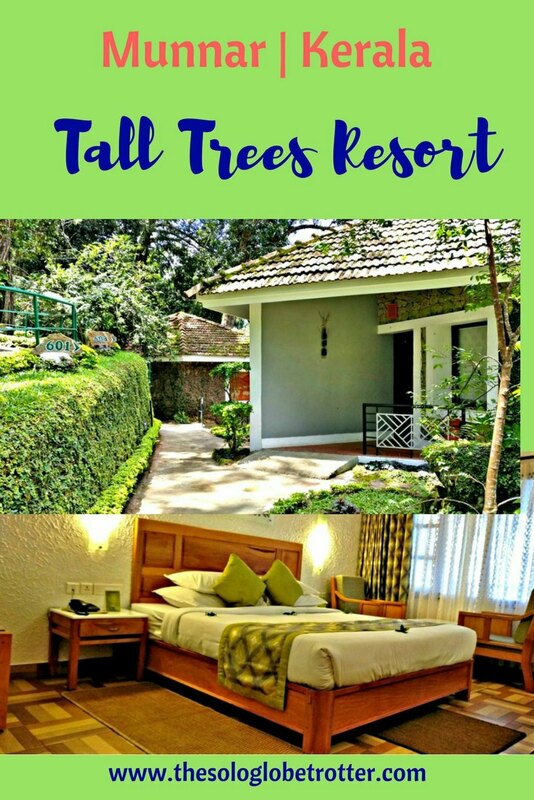 The first thing that attracted me to choose Tall Trees resort were the tall trees themselves! No, they are not your regular trees that are tall, in case you are wondering. The property spreads over 60 acres, and trees that are close to 100 ft form a canopy in the premises, which has been built with utmost meticulous planning to ensure harmony in the ecosystem comprising of Shola forest. 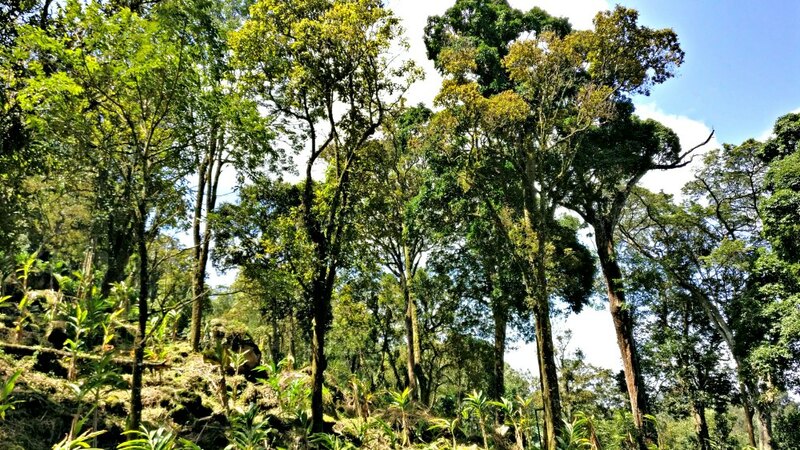 The trees are so tall and dense that they envelop the views of the tea-estates or the mountains at the top behind. 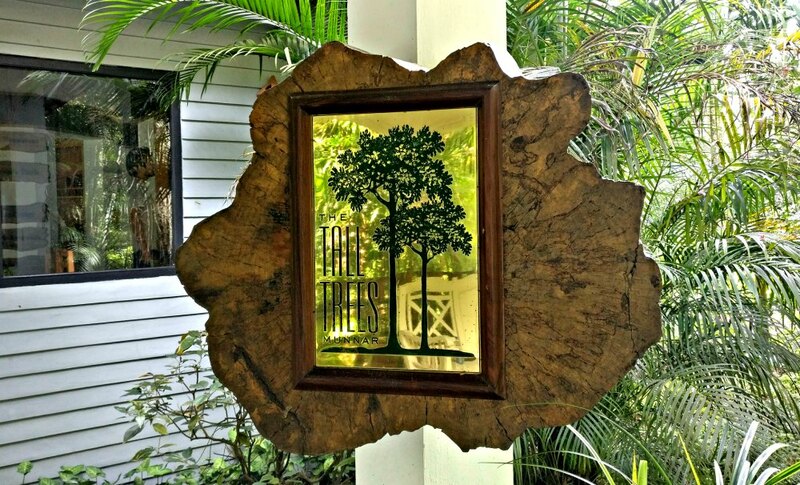 The way the Tall Trees resort has been curated to provide a luxurious holiday experience is an impressive feat. I was drawn to all that the resort offered, and I must say that I felt that my choice to spend a weekend here totally rocked! 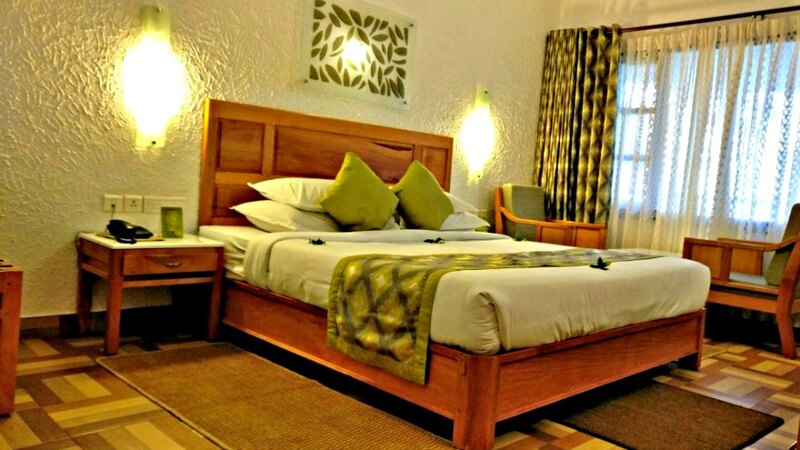 Tall Trees resort offers three types of accommodations in different categories, with the suite being the uppermost. I checked in to the standard cottage that had a balcony overlooking the forest across. A living room with a bathroom also was a part of the cottage, which led to a large room and a spacious bathroom. From the look of it, the cottage was themed on simple yet elegance possibly, as I didn’t find anything overly done or too royal. Whether it is the carefully selected artwork or the lights that matched with the linen or the complimentary organic products, the austere decor appealed to me. A trail from the resort leads to the top of the mountain, which offers a panoramic view of the forest and the adjacent tea estates. After a lunch or a heavy breakfast, this is a perfect activity to do! Don’t forget to take your camera though. 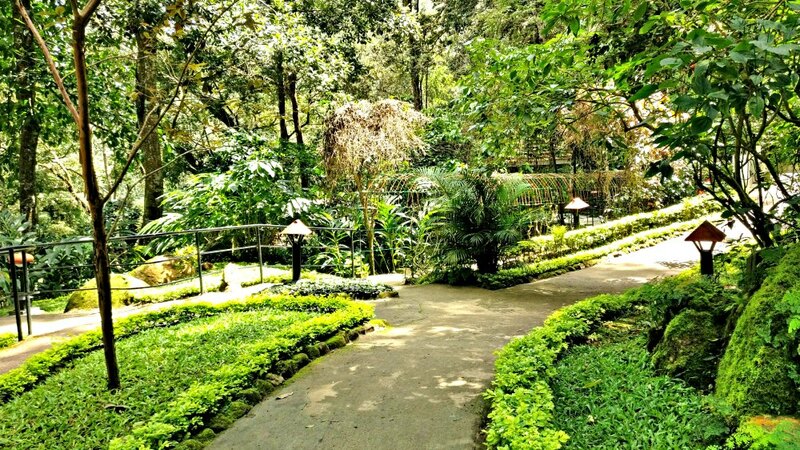 My other reason for visiting Tall Trees resort was my love for spice plantations. Especially if it involves coffee, I am all convinced to be there. This was a plantation that didn’t look like a sophisticated spice garden. 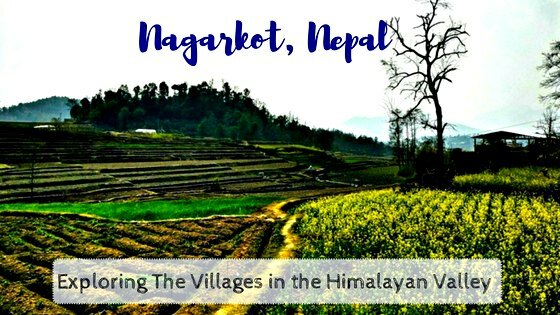 Because the resort itself is constructed to be a part of the forest, the areas have been selected to grow coffee, tea, banana plantations, pepper, eggplant, spices like cardamom, cinnamon, betel and more, which can be found spread around the cottages. 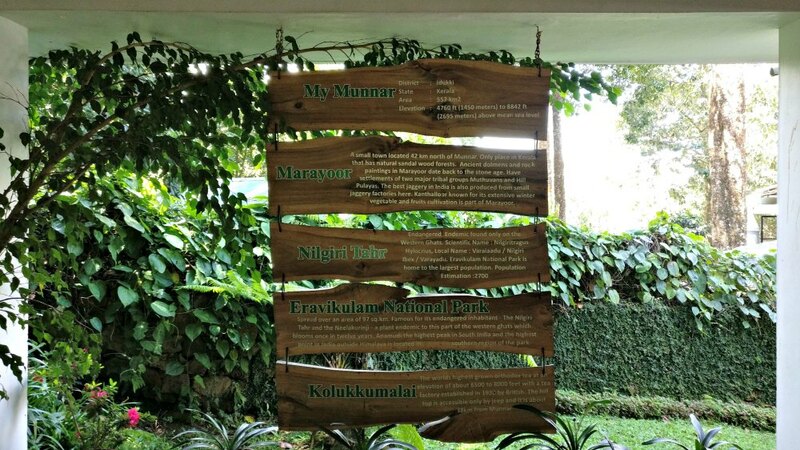 A trip to Kerala is incomplete if you have not experienced the Ayurvedic massages, and if you have not tried already, Tall Trees has it got it covered for you. I have had my Ayurvedic therapies many times and hence did not try it here. Therapies between 60 to 90 minutes are available to feel rejuvenated in the midst of nature! After freshening up, it was lunchtime already (good times roll faster, right!). Famished, I went to the restaurant at the top passing through the plantation area, and gardens. I had to climb some stairs which looked like a hill to me – Blame the hungry mind for making a mountain out of a molehill! 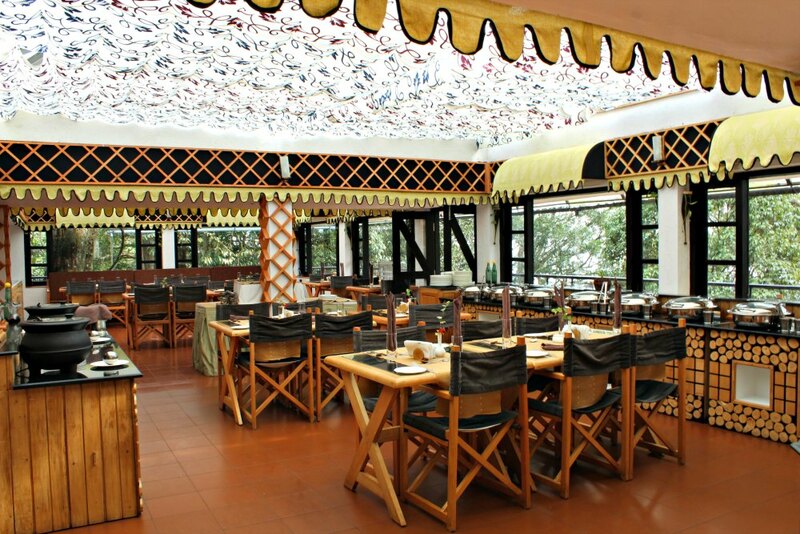 The restaurant has a glass ceiling that gives a view of the canopy of tall trees, and a balcony overlooks the mountains of Munnar. 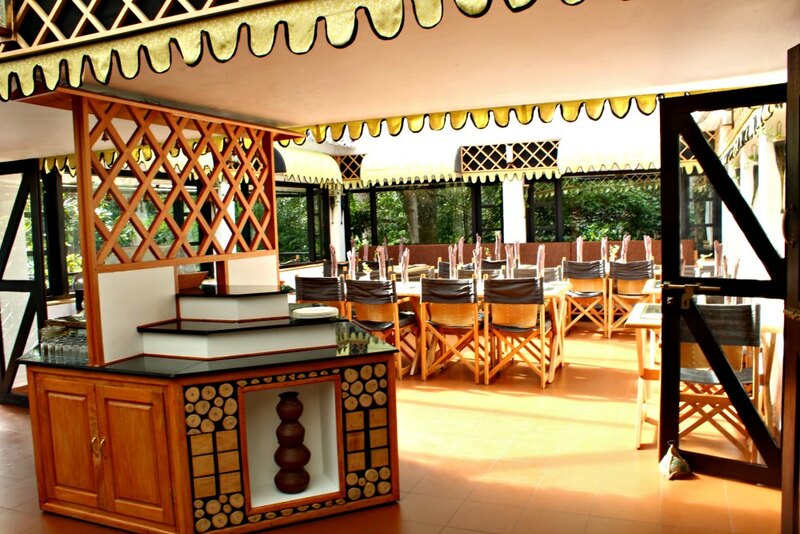 I loved the Paneer cuisines, and the north Indian dishes that I tried, including the starters. The dinner was a buffet spread, but I couldn’t try all as I was overloaded with lunch! The breakfast was a scrumptious buffet involving a mix of Kerala cuisine and English delicacies and was certainly more than filling. One thing that could be done better is to widen the options on the menu. For vegetarians, I felt there wasn’t much to choose from. There is a library, a game room, and kids play area as a part of recreational amenities. A swimming pool would have probably completed the circle, and it would be a splendid way to chill admiring the trees! After having enjoyed my stay, I checked out contentedly hoping to visit again. I had some time to kill before my bus arrived, and hence headed to Hydel Park located close to the bus stand. Surprisingly, the park is very clean and too lovely with all the unique wildflowers and the small canal. 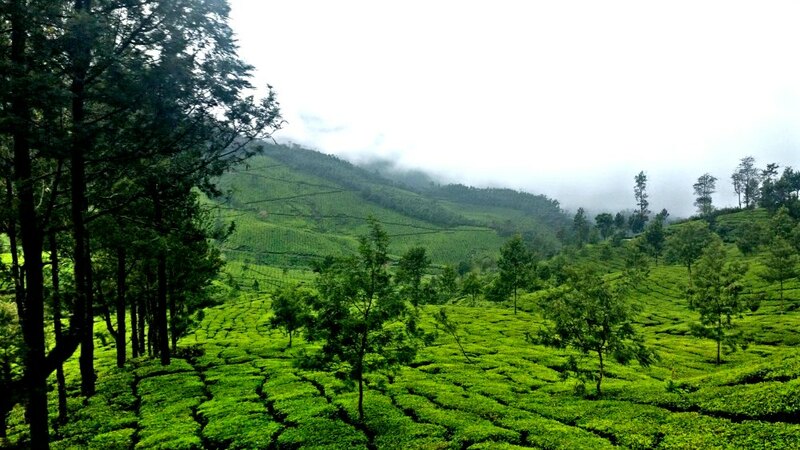 Have you been to Munnar? Have you seen the tall trees? Which is your favorite town in Kerala that you wish to go back? 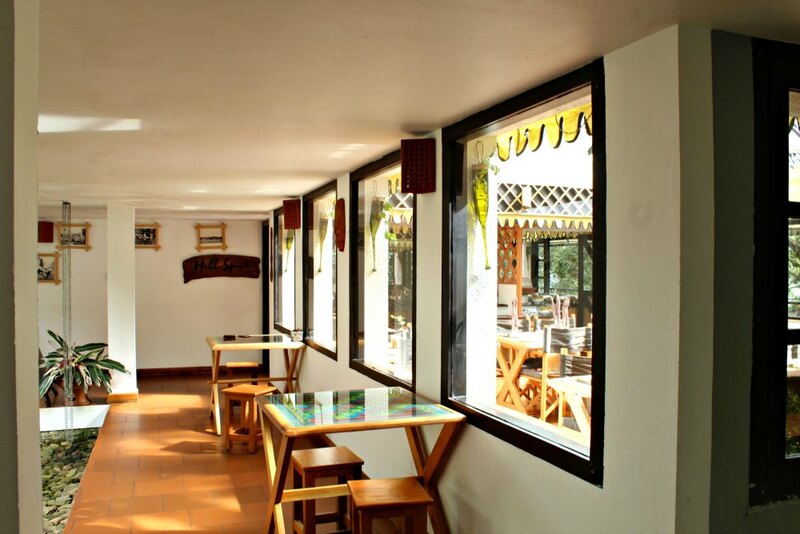 You can book your cottage at Tall Trees resort directly with them here. Or click below to check the dynamic prices of the resort. Share the Love. Pin the Post!